Play the world’s #1 free bingo app — with an all new Wheel of Fortune® room in Bingo Bash, the ultimate app for free bingo games! — Wheel of Fortune® meets Bingo in an extraordinary partnership. America’s #1 Game Show & America’s #1 Bingo come together at last! — Walk on to the famous Wheel of Fortune® stage — and play the world’s #1 Bingo there. — Win unprecedented bonuses in the Wheel of Fortune® Spin to Win Minigame! — Enter one of our 50+ Wonder and Special rooms. — Pick your bingo cards to start playing! — Daub the numbers called out. — Score bingos in 13 different ways — and win big! — Complete collection items to win goodies. — Unlock newer levels and cool new rooms. — BINGO ROYALE SLOT ROOMS: Spin your way to more coins and chips! 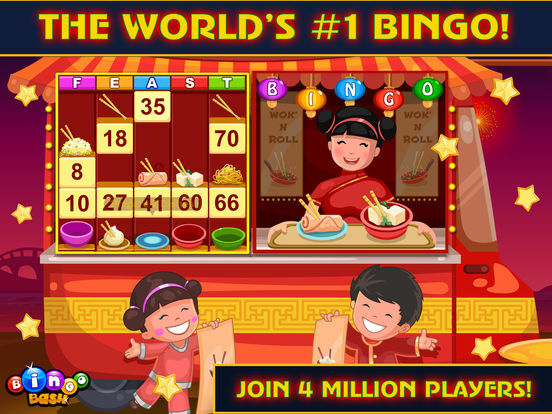 Play on the virtual Bingo Bash slot machine to win BIG! 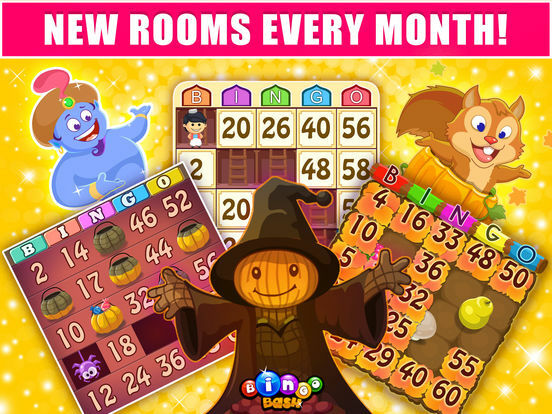 — WONDER ROOMS: Fly around the world in all of our special bingo rooms! — Swim in the Great Barrier Reef bingo room. — Battle gladiators in the Colosseum! — Have fun scaling the Great Wall of China. — Hit the Vegas strip for high-stakes casino games. 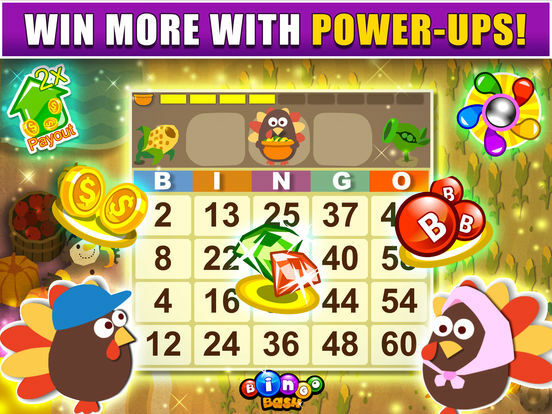 — Unlock exciting bingo rooms like Purrfect Crime, Pot of Gold, and Wild West for more fun games! — Play in free seasonal rooms like Zombie Bash, Thanksgiving Room and more! — Unlock exciting new rooms every 2 weeks. — Multiplayer and real time play with millions of players! — Win HUGE power-ups, get Chips from finding Gems and Collectibles, and more! — Play and chat with friends in fun real-time games! Team up to uncover never before bonuses. — Win huge power-ups, surprise gifts, and more! 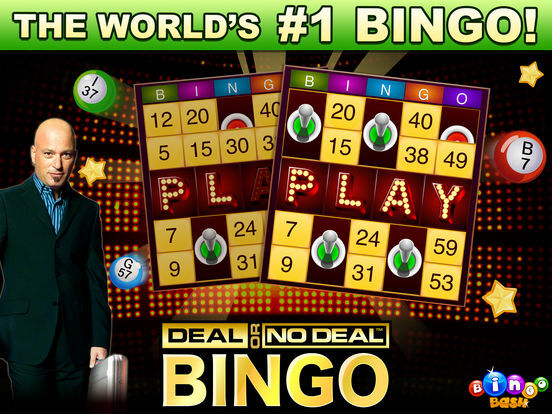 · Bingo Bash does not offer «real money gambling» or an opportunity to win real money or prizes. · Past success at social casino gaming has no relationship to future success at «real money gambling».